Online shopping has been a major trend that continuously grow as of the moment. It was even interconnected with the rise of the "Millenials" or Gen-Y, people aging 18-34 years old by 2015 according to PewResearch.org, as various researches have established. Also, the accessibility and availability of affordable smart phones paved way for people to maximize its use in availing products and different services and that includes online-shopping. A hassle and convenient way of shopping under the power of your fingertips in the comfort of your own home. That is why major companies have been re-positioning, re-branding and re-furnishing some of their services and platforms to adapt with these dynamic changes. And all of these features were very true and evident ever since at Lazada.Ph, Southeast Asia's Number 1 Online Shopping Mall. Earlier this week, I was invited by Lazada.Ph in their private event Shop 'til You Blog: Shop. Network.Learn held in the brand new Discovery Primea Makati (the place is so luxurious and the staff were so kind). I have the privilege to listen and actually meet Lazada's C.E.O Inanc Balci whom discussed some of their corporate plans especially Affiliate Marketing. Kryz Uy also gave some blogging tips and share some of her funny but helpful experiences to us to further make our posts cute and on-point. Chief Marketing Officer Florian Holm also explained Affiliate marketing further and elaborated on the benefits of becoming one, especially under Lazada.Ph wings. 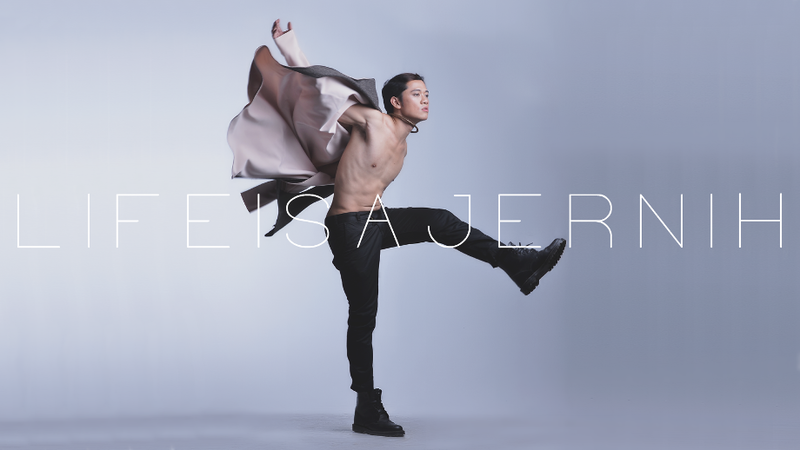 Take a look at the photos below to know how it works. 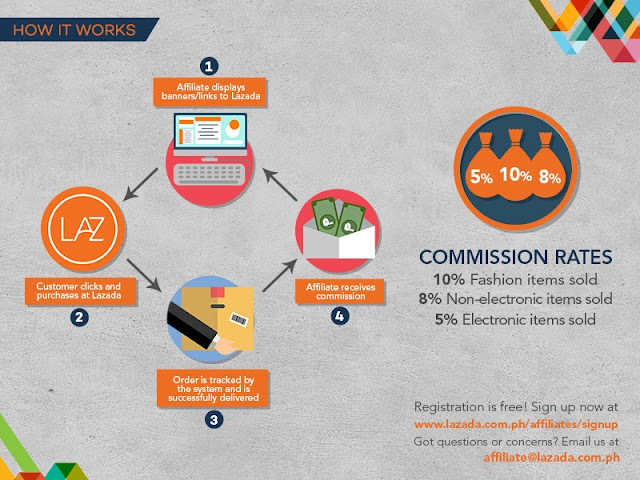 At first, everything was confusing but soon after reviewing the proposals again, I just appreciated how a smart move being a Lazada Affiliate can be. 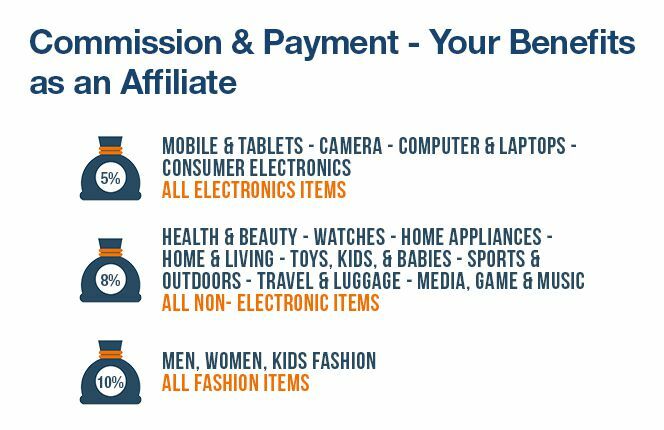 There in no registration fee and all you have to do is register and sign up in their Affiliation Program, embed their banner advertisement (like the one you are seeing in the near bottom part of this blog), and resume to your daily routines. I personally love the program because I have other things to do and at the same time, I'd like to have an extra source of income through blogging. Who would not want to earn in such an easy way? You will not be paying for people to look and manage your business, you will not pay for the facility and systems to monitor transaction 24/7, you pay nothing but you will definitely be getting something for your efforts and time spent using your computer/mobiles. You just have to sign up for free and Be an Affiliate now! So there you go, it's now a matter of decision to position yourself as early as now in this movement. 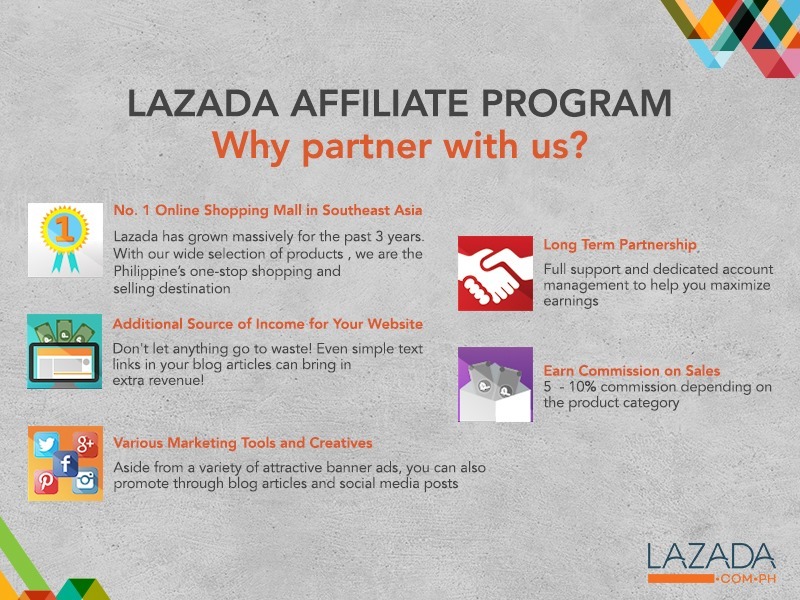 I know it might sound like bloggers-being-used to market for free rather than using tons of money for advertisement, but again I repeat, it's free and Lazada.Ph made a way to make others earn with them and take advantage of the program, commissioning you for every items being sold through your site. I hope this would be a great help for you.